You should never feel as though you are stuck with your current vehicle if you really want to be able to get behind the wheel of something newer. If you are interested in your options in used Hyundai cars for sale in Snohomish County, you will always see that Carson Cars is your answer. We are a family owned and operated dealership that has been offering high quality used vehicles at great prices for nearly 50 years and still going strong. Whether you want to add a second vehicle to your household or you need to be able to upgrade the vehicle that you are currently driving, our team is excited to work with you and get you the pricing and performance that you deserve. Maybe you have had a bad experience while buying a used car in the past. Either you went through a private sale and ended up with a vehicle that had a lot of issues or maybe the used car dealership that you chose turned out to be not all they claimed to be. You need to know that with Carson Cars you are always going to have a chance at experiencing top notch customer service along with some of the best pricing and selection in the region. 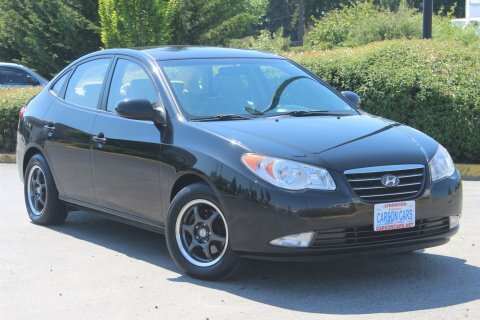 Carson Cars has a large inventory of used Hyundai cars for sale in Snohomish County. Call (855)583-9356 for inventory and financing info for cars and SUVs. You can also stop by our dealership to talk with one of our knowledgeable sales team members one on one and see about taking one or more Hyundai vehicles for a test drive until you fall in love with one.